Beginning in Marshville July 10, 1993 11:10 a.m. just 3 minutes before the accident that will propel Marshville back in time, three young researchers are searching for big foot in the Oregon woods. After spotting not just one but a pair of Bigfoots the town and surrounding woods phase into the past the hunters and one of their prey are lost in the prehistoric jungle. The researchers are quickly dealt with by the elements but the missing link fairs a bit better, although confused by the new surroundings, hungry, and fending off attacks from meat eaters. Meanwhile Mariam Cooper, Captain Lavery, and Professor Cook are trying to convince some of the residence to move closer to the center of town for protection but Bucky and Becky Radison and their new baby do not want to leave home. 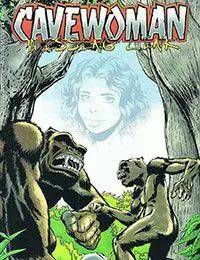 Soon the hunger of the female bigfoot leads her to the home of the Radisons where she is almost shot trying to nab a plate of burgers getting away just in time to run headlong into Klyde.